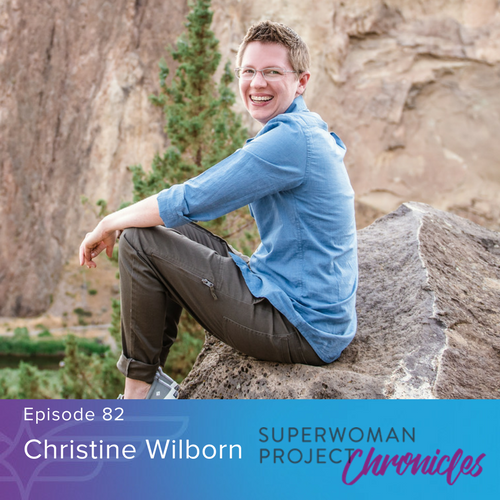 As a self-proclaimed neuro-nerd, this week Christine Wilborn shares her insight and expertise into the brain's role in your daily thoughts, behaviors and productivity. Utilizing her experience as a Z-Health practitioner, Master Life Coach, Personal Trainer, and Master NLP practitioner, Christine has defined a "stupidly simple" approach to increasing your productivity in life and business. Every person is wired so differently; therefore, there are endless ways any one person can approach a goal. No matter what your goal is, you will find the most success by aligning yourself with your natural wiring to find the path of least resistance. The first step is understanding how you are wired. Christine has defined four types of Entrepreneuros to help others connect with their strengths- find out which Entrepreneuro you are at christinewilborn.com. If you resonate with this and want even deeper transformation, register for the upcoming upcoming Superwoman Summit today! Find out more about Christine and her work at christinewilborn.com. Follow her on Twitter and Instagram or connect with her on LinkedIn.